The former chief-of-staff of Iran’s armed forces said on Tuesday that Western spies had used lizards which could “attract atomic waves” to spy on the country’s nuclear programme. Hassan Firuzabadi, the senior military advisor to supreme leader Ayatollah Ali Khamenei, was responding to questions from local media on the recent arrest of environmentalists. “Several years ago, some individuals came to Iran to collect aid for Palestine… We were suspicious of the route they chose,” he told the reformist ILNA news agency. “In their possessions were a variety of reptile desert species like lizards, chameleons… We found out that their skin attracts atomic waves and that they were nuclear spies who wanted to find out where inside the Islamic Republic of Iran we have uranium mines and where we are engaged in atomic activities,” he said. 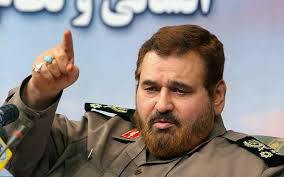 Firuzabadi said Western spy agencies have “failed every time”. He said another espionage case involved a couple from Germany. “They got them on a fishing boat from Dubai and Kuwait and sent them to the Persian Gulf to identify our defence systems,” he said.